Online ordering menu for NAI TAPAS. Nai means mother in Gallego. Gallego is the language of Galicia. When we speak of the culture and cuisine of Spain in the U.S.; references are always made to the typical “sangria”, paella, bulls, and flamenco. What we’d like to achieve at Nai is (without distancing ourselves from the traditions that remind us of home and that we are so very proud of) to show that the cuisine of Spain is so much more than what we know. 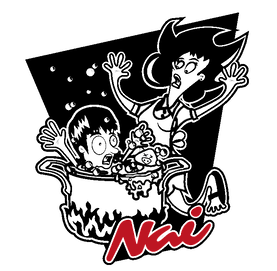 Nai Tapas is the continuation of the traditional cuisine of Galicia, specifically the home-made recipes handed down from the Grandmother of Gallego Cuisine, Emilia Arias. Recipes that were handed down to Nai (Ana Maria Gonzalez Arias) to open her first restaurant in Galicia, Spain in 1983. On the 15th of November 2010, the doors opened on a new hope and understanding of a job well done. Nai Tapas was inaugurated. Nai (Ana Maria Gonzalez Arias) is not only the heiress of these recipes, but also and most importantly; the inspiration and significance of Nai Tapas. Try a few of our entrees including the Chili Crab Suquet, Tortilla Espanola, or the Tabla de Quesos. We're located near Village East Cinema and Washington State Park. Order online for carryout!